A career in Sociology would mean the scientific study of human social behavior and its origin, development, organization, institution. Sociology will not only help you comprehend the human behavior more easily but also know more but its cause and consequence. 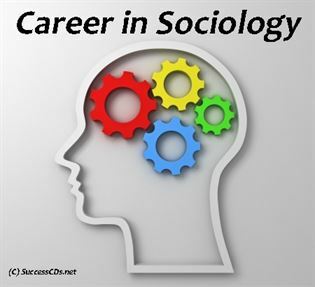 Sociology is more of a subject where the student will have to be patient and have an eye for detail to understand the behavior of human beings through their social interactions, and understand how societies organize, develop and change. Your education in Sociology can open many avenues for you hospitals, private clinics, private practice, social service, criminal justice, law, media, etc. Sociology is a very vast field and thus there are different areas where one can specialize in with the advent of your studies and your career. There are experts who study behavior of children, deal with problems of adolescents, decode criminal behavior and action, assist students to broaden their horizon and become able enough to conduct an effective communication, analyze and solve their problems and so much more. One can choose from the many options present and think of making his career in the world of Sociology. Being a sociologist asks for a lot of patience along with dedication to their work. Employers will look for people with good communication and research skills along with the capacity for detailed observation. Since you’d be required to solve problems along with diagnosing them, so you must have a strong sense of problem solving along with critical thinking. In order to pursue a profession in Sociology once can pursue B.A. at UG level and then later on M.A. at PG level in Sociology or its related field, which is offered by most of the universities and colleges. In order to pursue a Bachelor’s course (B.A.) in Sociology or its related fields, the candidate needs to have completed his/her 10+2 in preferable social sciences. The course lasts for three years. Although completing your Master’s course for this field is important as most managements and institutions would require a Master’s degree which would take two years. Some employees also want a Ph.D.
Sociology as a career is not only a very enticing career but also many options. The career is diverse in terms of the specializations that one can choose from. Once you have completed your education there will be quite some opportunities. Research institutes, the criminal justice system, public health and welfare organizations, private businesses, law firms, international agencies, medical centers, educational institutions, advertising firms, survey and polling organizations are only some of the example where people from this background are required. There are options of working in other sectors with area specialists to help function. People like economists, political scientists, anthropologists, psychologists and social workers also require the assistance to make the right choices in their field. Once you complete your education in this field you can choose to be an educator, researcher, counselor, consultant, etc. Practicing sociologists who have advanced degrees can also apply for jobs such as research analysts, survey researchers, gerontologists, statisticians, urban planners, community developers, criminologists, or demographers. There are some MA and PhD sociologists which can obtain specialized training to become counselors, therapists, or program directors in social service agencies. Social-economic studies, Demographics and opinions. There is also a great need of sociology in institutions that have projects running in the rural areas and also in NGOs. There are also places like Health Care, Business Consultation, Central Government, State Government, Education and Child Welfare where the need of Sociologists is rising. Sociologists, depending on the level of qualification in education, are paid keeping in mind the location and kind of job. The salary of a sociologist can be from Rs 6,000 to Rs 10,000 for beginners and will increase with experience and knowledge. Those employed under government sector earn in a range of Rs. 8,000 to Rs.10,000 per month. Higher salaries can be expected from corporate houses.